restaurants & malls and much more! Get a better life today! 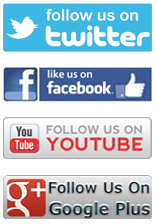 We have been servicing the Marine and offsore industries for all of there noise control problems since 2005. The marine and offshore industry is quiet vast so as you would ecspect the range of problems encounter is extensive. Over the years we have encounted various noise related problems which we are pleased to always have been able to solve and create a solution for even when at times the solutions did not exist, so we had to invent them. Sound insultation is quiet a common problem for marine vesstles and offshore rigs whereby the need to insulate the hulls, bulkheads, cabin floor and ceilings as well as engine rooms is always a must. High soundproofing reduction silencers are also fairly common on all sea vesstles whereby we use our specialist scilenceers and jackets to insulate eitehr internally or externally on the HVAC Systems. We also encounter often issues with low bass frequency and vibration transmission noise problems on all vessles from small ships, passenger ferrys, motorised yaghts, friggets, oil tankers shipping vestles, oil rigs, drilling platforms and a whole lot more. This is primaryly because of the build of the vesttles being made from metal and if isolation points of cladding is missed in key areas then vibration will occure out of all the vesstles we deal with Cruise Liners Ships are the most effected by this issue which eventually leeds to loss of revenue because of passangers disscomfort and complete expereince. We have seen a decline in the cruise ship industry which one of the main factors that we have disscovered is the exsessive amount of noise issues on board especially in the cabins. Our NoiseStop Systems NoiseBlock Marine Soundproofing, Marine Vibration Damping and Marine Acoustic Control is still to date the most effective solution on the seas. In Singapore our main business marine markets are solutions for Yachts, Cruise Liners Ships, Commercial Vessels Ships, offshore Rig Platforms, Tankers, Cargo Ships whereas in other nearby countries such as Indonesia and Malaysia the range of marine soundproofing works is much more extensive because of the labour costs are cheaper so there is more work going through the ship yards. In the past it has been very difficult for companies to find contractors and manufacture & suppliers to undertake this type of work at a reasonable price. We offer cost effective and affordable solutions for all and hope that the information in our Marine Soundproofing & Acoustic Section will be helpful and informative in helping you create a solution to your problem. Firstly we will need to know some information about the Noise Pollution that you are experiencing. Then after photos of the effected area and the measurements of surfaces you wish to insulate against noise. We can then in most cases give you an estimate based on this information. In some cases you may prefer to have one of our Consultants come out for a site visit. 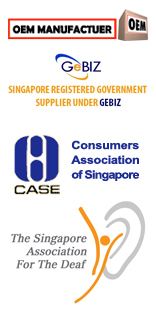 Site visits to any offshore vessel or entity of the port of Singapore will fall under our offshore site visit policy. As much as we would like to supply this service at no cost, due to the volume of our enquires the affordability is not possible we do hope you understand. For all offshore Site Visits that require a consultant to use Air Transit this will be paid for by the host company in advance. We put the safety of our employees at the utmost important and thus only use Blue Chip Airlines and are favourable to using Singapore & Emmerits Airways as a mode of transportation. Any other expenses that are incurred as a direct result of the offshore site visit we such as accommodation, meals etc would expect this to be paid by the host also. In return our visit charge will be a very low rate to reflect our belief in fair pricing. 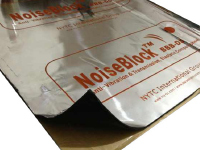 NoiseBlock BBB-DS Marine Series has been the industries choice for soundproofign materials used on vessles for the last 12 years worldwide. Suitable for marine Ships Hulls, Flooriing, general metal structures bulk heads, engine bays and more. The material is very east to install and can be installed by your own workers / sub contractor or we can install for you with our noise control specialist workers. NoiseBlock ImpactMat Marine Floor	STC 30 is the perfect flooring finishing system for you. Typically this flooring is used in passenger ferry vessels for marine staff to and from shore. The multi-layer system creates an isolation between the ships deck and the passenger area and at the same time reduces vivration and structural vibration resinance. You can apply various different types of finishing layers to this product we recomend using BESTBuild Floor Finishes. NoiseBlock ImpactMat Marine is specially designed for floor installation to create an isolated floor for the best possible price. 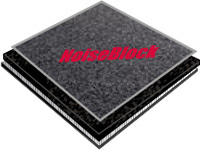 Using this product with NoiseBlock BBB-DS will work wonders to your project. The system requires installation from our team of experts and acoustic calculation from our Acoustic Engineer to ensure the best possible results. • Available in different patterns and colours. NoiseBlock Marine Impact & Sound Floor	STC 40 is a complete solution for marine flooring from the soundproofing performance to the acoustic absorption of the final finishing layer. The Impact & Sound Floor offers both impact reistance and isolation benefits by creating a semi floating floor when installed. The design of the system is to use on marine flooring in and comes with an acoustic control carpet finish to enhance the system by sound absorbtion and echo / reverberation removal. 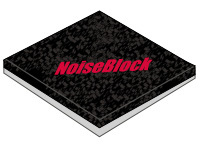 NoiseBlock Marine Insulation has been developed with the focused purpose of creating environments with low noise pollution by reducing the overall level within the ship from deck to deck and cabin to cabin. This can be achieved using NoiseBlock Marine Systems and Panels whilst at the same time satisfying the B-Class fire regulations of a vessel or its living quarters. Our marine grade insulation is not only eco friendly, oil absorption and spillage preventative it also has the best fire rating and abilty to stop noise. The material is very versitle and can be used in the same way as normal insulation. 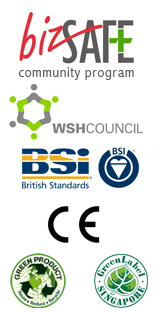 We offer installation as well as supply and deliery to site. ICAT Industries & NoiseBlock have teamed up to create a worlds first spray on vibration damping paint that can be used in conjunction with the normal painting of the external hull of the a vessle. The paint itself is comes in standard and UV reistant with a shelf life or 5 years, 10 years and 15 years sustainablity. 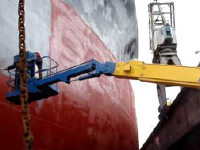 Through the complex chemical forumula the liquid paint when applied has the abilty to reduce vibration when applied to the entire hull service. 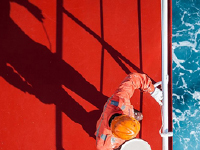 ICAT Industries Canda is the number one choice worldwide for protective coating systems in the Oil & Gas market and highley used in the marine market also. The Marine Coat range features specialist application specifically for marine application. The Marine Deck Coat works in much the same way as the Marine Coat for the side of the ship. It offers again standard and UV reistant with a shelf life or 5 years, 10 years and 15 years sustainablity. One of the difference to the coating system for the ships outer hull is that the Marine Deck Coat can be applied as thick as 3mm to the floor and mixed with ImpactMat Granuals to create an anti slip surface. NoiseBlock BBB-DS Marine Vibration Damping Compound is one of the best materials in terms of its useablity on metal structures world wide. The compound is quiet thick and can be applied with a brush or roller to the surface of your choice. It requires at least 2-3 layers of coverage in order for the material to work effecitvly. 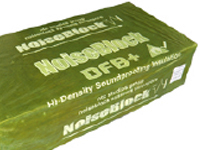 NoiseBlock SF1 Acousticus Insulation is a great option for the marine and offshore indusry for sound absorption in noise compartments, processing areas, walkways and general noise environments. 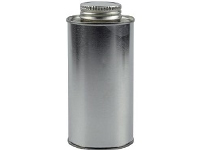 The material has a very high sound abroption rate which creates amazing reduction of noise when used in any situation. 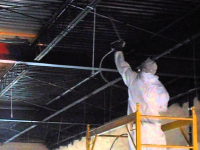 The professional Soundproofing Grade spray application insulation is the pefect solution for the lining of engine rooms, compressor rooms and various internal structures. It is a the next development in insulation solutions that will revolutionize the noise control industry. Sick of neighbors hearing your every word?